Accenture’s credit consulting services and operating capabilities are valued by commercial credit, residential mortgage and consumer lending institutions around the world. Our deep industry domain expertise, management and technology consulting experience, software and large-scale BPO capabilities help clients apply "the new" now to address industry challenges and position themselves for sustainable success. Accenture has been recognized as a leader in the industry and is the only partner to offer a holistic set of services across consulting, BPO and software to support lenders’ most important business objectives. A results-oriented IT and operations executive with demonstrated leadership, relationship and communication skills, Chris Scislowicz is a Managing Director within Accenture’s Financial Services practice. 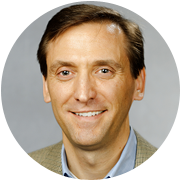 A consulting veteran of 20+ years, Chris leads Accenture's Credit practice in North America and co-leads the global nCino practice for Accenture. Chris specializes in the management and delivery of transformational system implementations for global financial institutions, including commercial & small business lending platforms; mortgage originations, fulfillment, servicing & default management systems; data warehouses & data marts; and other banking solutions. Chris graduated from Georgia Tech with a Bachelor’s of Mechanical Engineering with Highest Honor in 1996. 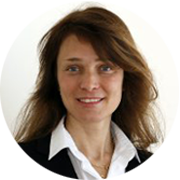 Elena Mazzotti is a Managing Director involved in banking industry projects and is the EALA Credit Lead. She works closely with the Banking EALA leadership team on credit offering development and with IGEM leadership team on business development. She is also involved in Diversity and Corporate Citizenship topics, teaming with a variety of professionals across Accenture in promoting Credit offering and experiences to bring value to clients.